digestion and detoxification of decomposition products. Each liver injury results in changes of cellular membranes, respectively in damage to its functions. 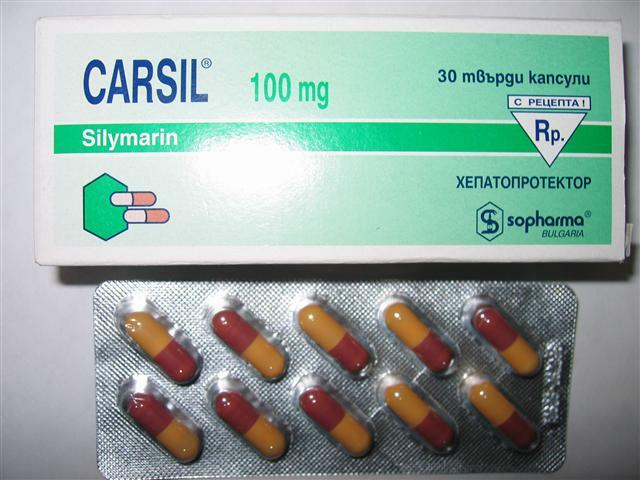 Carsil a phyto-preparation with proven effectiveness in toxic, metabolic and dystrophic liver diseases. 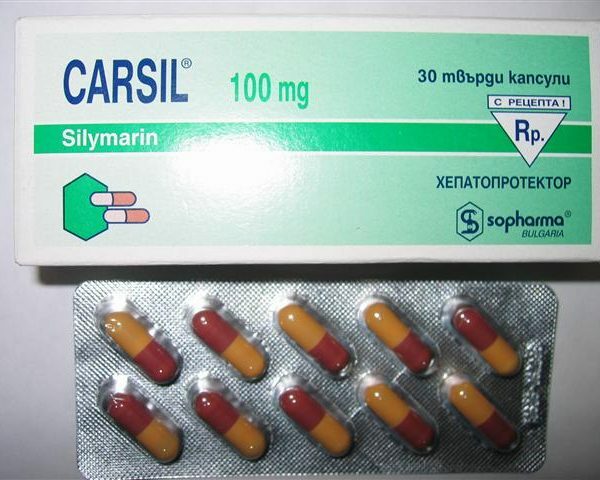 Carsil is flavonoid mixture extracted from the fruits of the plant Milk Thistle – Silybum Marianum. The main active component of the preparation is SILYMARIN. Exerts a specific protective and therapeutic effect on liver cells. Stimulates the cellular metabolism and protects the liver. Has an antioxidant and anti-inflammatory effect . Carsil is applied per body weight, and the therapeutic course continues for 3 or more months. As a prophylactic: 1-2 tablets daily. In light and moderately severe cases 1 tablet three times daily. In severe forms of illness 1-2 tablets three times daily. The daily dose is 5 mg/kg body mass, divided in 2-3 intakes. Carsil is characterized by a very good resorption and tolerance. No side effects are observed with therapeutic doses.